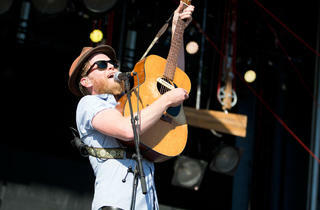 Photograph: Michael J. Chen The Lumineers perform at the 2014 Firefly Music Festival in Dover, Delaware on June 22, 2014. Ho! Hey! 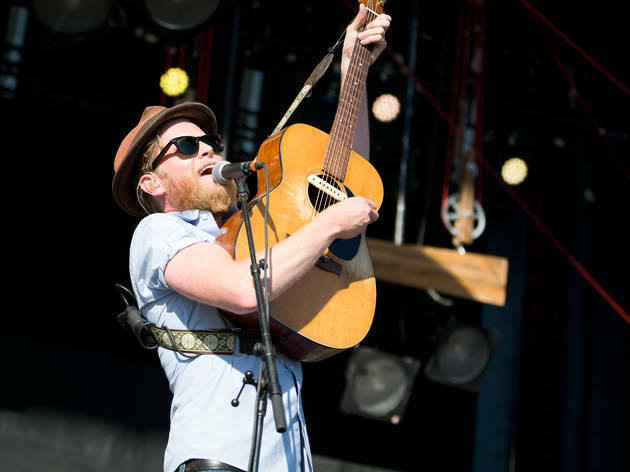 After providing the rollicking folk soundtrack to countless movie trailers and commercials, the Lumineers have returned with the slightly more mature Cleopatra. The Denver-based group's latest batch of tunes are bit more moody and reserved, reflecting upon its rapid rise to fame with spare acoustic instrumentation. Don't worry—you'll still have plenty of opportunities to sing (or shout) along. Violin-plucking singer songwriter Andrew Bird and grungy California folk rocker Margaret Glapsy support.